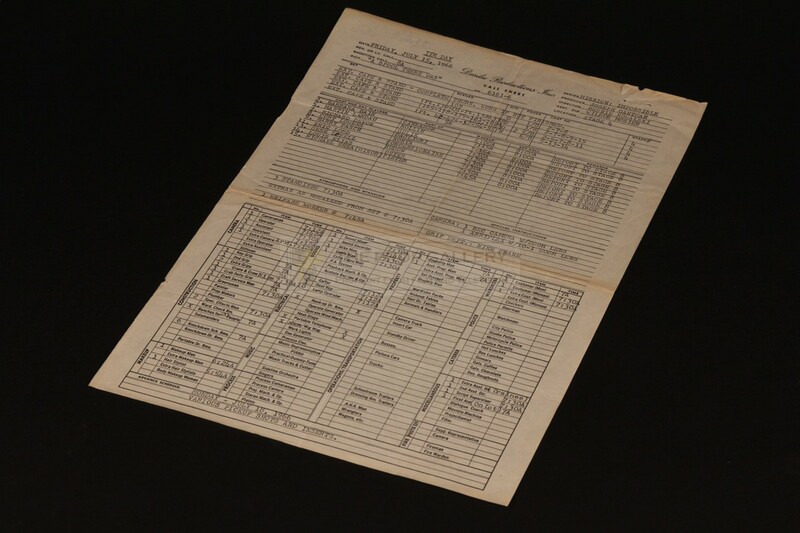 An original call sheet used in the production of Mission Impossible, the 1960s American television series produced by Bruce Geller. This call sheet for the Season 1 episode A Spool There Was is dated Friday, July 15, 1966 and headed Desilu Productions Inc lists the cast members required on set for filming that day in addition to the various production staff with a quantity of hand inscribed French writing to the verso. 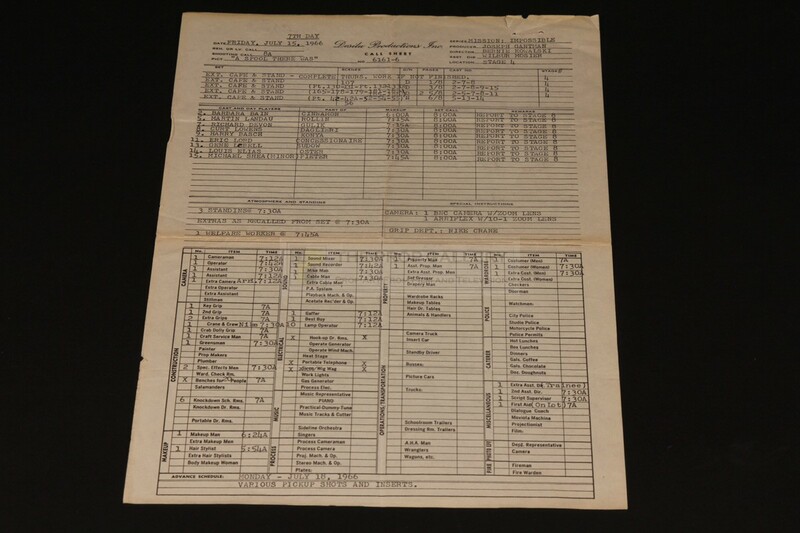 The call sheet measures approximately 11" x 7.25" and remains in very good vintage folded condition exhibiting some edge wear and age related toning. 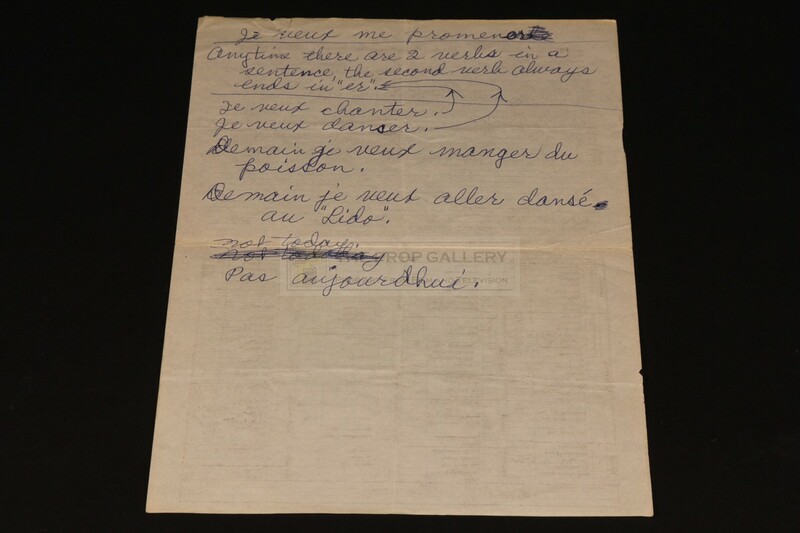 A rare example of original production material from this classic television series.